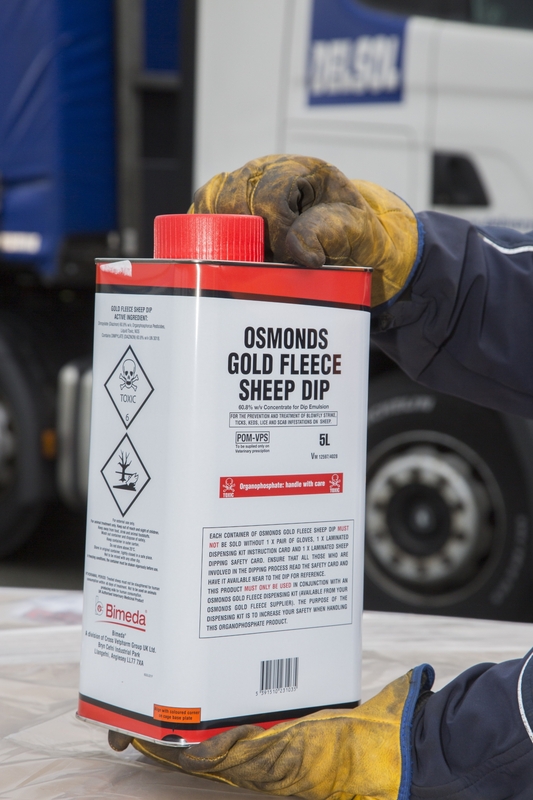 Vital supplies for farm vets to keep sheep and other livestock free of potentially lethal parasites are being kept on the road by North Wales delivery firm Delsol. 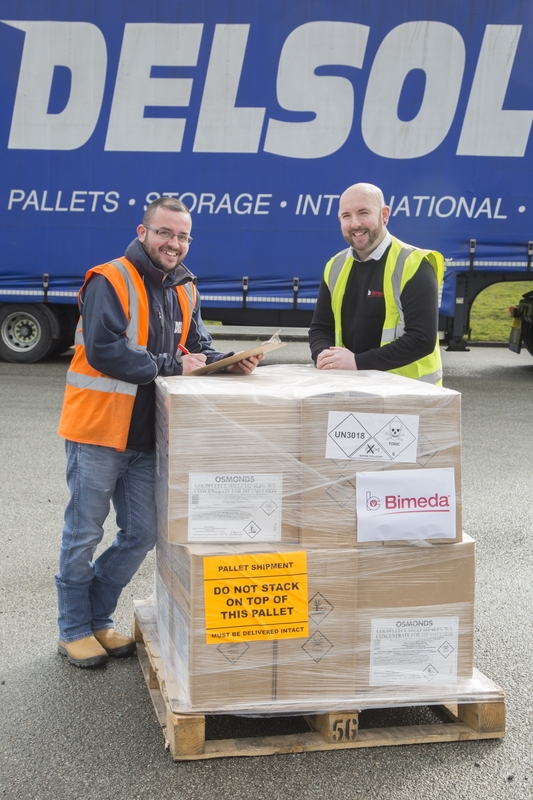 The courier company transports around 40 tonnes a week of pallets and parcels for Bimeda, which makes and distributes animal health products and veterinary pharmaceuticals. Delsol’s HGVs call daily at Bimeda’s UK headquarters in Bryn Cefni Industrial Park in Llangefni, Anglesey, to collect the packages, which are transported to a base in the Midlands for distribution overnight to Bimeda’s customers. They include anti-parasitic treatments such as Osmonds Gold Fleece and Ectofly to treat and prevent blowfly strike, ticks, keds, lice, and scab infestations on sheep and lambs, plus Bimectin Pour On for gastro-intestinal worms, lungworm, warbles, mange mites and lice in cattle. The items are among the wide range of goods carried by Delsol under its membership of the Hazchem Network, a group of distribution companies with specially trained drivers safely and securely delivering hazardous goods across the UK and Europe. Delsol was invited to join the network in March 2016 and in past year has moved more than 3,700 items under the Hazchem regulations, from perfumes and medicines to industrial solvents and paints. Bimeda warehouse supervisor Stephen Jones said: “Bimeda opened here in Llangefni in 1999 and we’ve used Delsol right from the start. The pharmaceutical items are made at our plant in Ireland and then brought over to Anglesey, where we pick and pack, to collate orders for customers. “Delsol comes along each day to collect the orders and arrange for their delivery the next day. It’s essential that our customers, who are often vets, have a rapid service as they require the treatments and medicines quickly. “Not all the items need to be moved under the Hazchem requirements but it makes my job a lot easier to have one reliable company dealing with all the delivery of our parcels, no matter the size of the order, which can vary from a couple of pallets holding up to 1,000kg to just a small package. 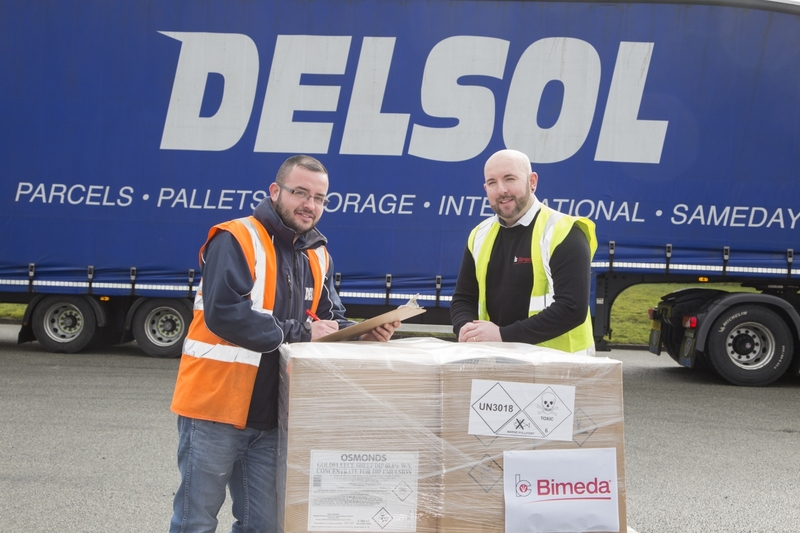 Delsol driver taking delivery of items from Bimeda, which are distributed under Delsol’s Hazchem licence. Pictured is Delsol driver Paul Kavanagh with Steve Jones warehouse supervisor at Bimeda , Llangefni. Delsol, which was founded by Simon Walker and Tony Parry, employs 115 staff at its bases in Caernarfon, Gwynedd, and Sandycroft, Flintshire, and offers same day, overnight and international delivery and collection services. The company’s couriers deliver items around the UK and across the globe to retail, commercial, industrial and private addresses, for large companies through to small enterprises and personal customers. 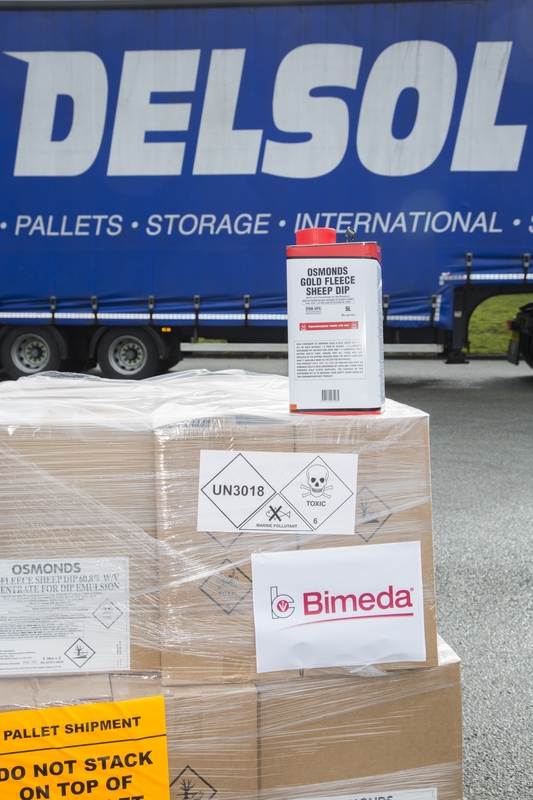 Delsol works with Hazchem and other partner delivery networks to ensure Bimeda products reach customers rapidly, said joint managing director Tony Parry. “We understand that Bimeda’s customers, such as vets and farmers need to receive their orders quickly as the health of animals in their care depend on it. “Because of the nature of the products, many of these items are classed as potentially hazardous, which is why our drivers are specially trained through our membership of Hazchem. “We were delighted when we were invited to join the network last year – when one of our vehicles is carrying a Hazchem item then it will display an orange square, the internationally recognised warning symbol. Hazchem is made up of reputable distribution companies across the country, all working together to guarantee next-day delivery of hazardous goods anywhere within the UK and Europe under ADR (Accord Dangereuse Routiers) the European Agreement concerning the international carriage of dangerous goods by road. The Hazchem network handles over 1,000 pallets and parcels every night at its Rugby hub, where consignments are segregated by chemical type to ensure maximum safety. All drivers are ADR trained to the strictest safety standards. Bimeda Animal Health, with its headquarters in Dublin Ireland, develops and manufactures a wide range of veterinary products which are sold in more than 75 countries world wide. The main focus is high quality products to treat and prevent disease and parasite infestation in livestock, poultry and horses. Delsol was originally founded in Bethesda in 1999 by Tony Parry and Simon Walker. They opened a purpose-built delivery depot and warehouse facility in nearby Caernarfon in 2003, and six years later launched a second depot in Sandycroft, Deeside, Flintshire. More details about the company at www.deliverysolutions.uk.com, or call 01248 679933 or 01244 525090.